As I sit in my office with the boots and sweater on and drinking my pumpkin spice latte, I can&apos;t help but be excited that I&apos;m writing the weekend guide for the first weekend in October! Loudoun is excited about it too. There are many events going on for you to enjoy like heritage festivals, pumpkin villages and haunted houses for the brave souls. 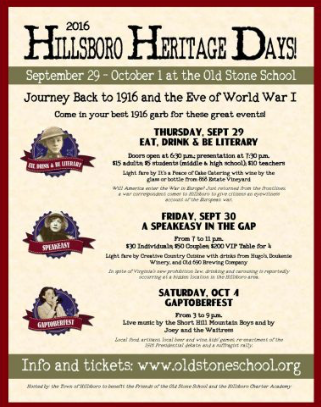 For three days Hillsboro returns to the Fall of 1916 with historic vignettes, reenactments, displays, food and music. On Friday, head on down to the Speakeasy. In spite of Virginia’s new prohibition law there are reports of drinking and carousing occurring athidden locations in the area— reportedly requiring secret passwords to enter…. Then on Saturday attend Hillsboro&apos;s presidential debate on the Bandstand. Rumors are going around that suffragists are planning a march and prohibitionist advocates will be holding a rally…. Leesburg Animal Park&apos;s Pumpkin Village Fall Fest is back! It&apos;s the perfect Fall family outing with slides, hay wagon rides, live animals, corn mazes, pumpkin picking, pony rides and even camel rides on the weekend! The festival is open daily so don&apos;t miss out on this great event! Shocktober is a very real haunted house in Leesburg. 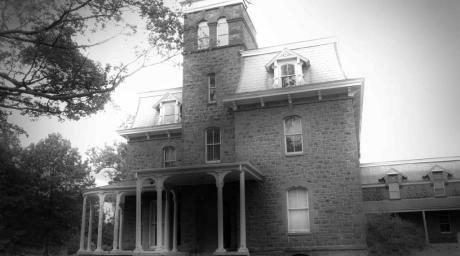 With documented sightings of old family ghosts and visits from paranormal investigators exploring theManor, there is proof that the house is truly haunted. I&apos;m still having flashbacks to last year! Paxton Manor has been taken over by the malicious Carver family. You can read all about the haunted story here...if you dare. Get your tickets to go through this perfect Fall activity.